We rate this as four bottles owing to its combination of proximity to the circuit, the village and very well managed facilities. 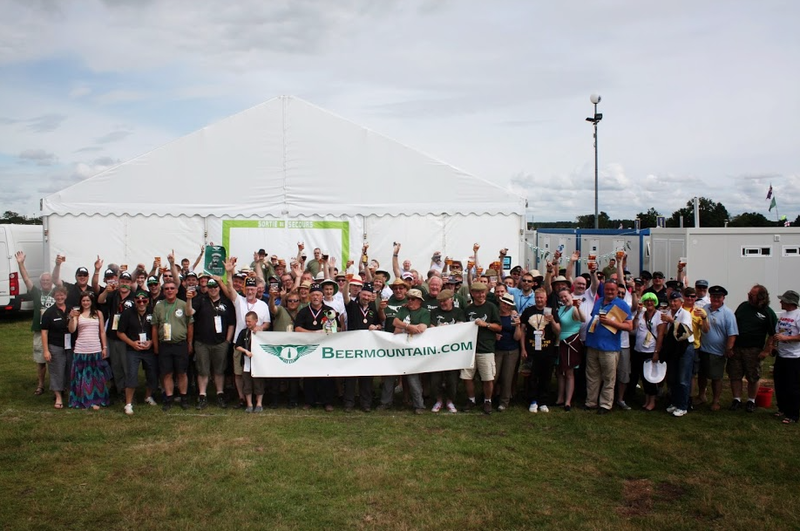 Discerning Brits looking for on site camping but in a safe and well supported environment. Only the non First Tickets clientele outside the perimeter fence. Beermountain friendly Le Mans camping specialist operator. Offers different sized plots and both self catering and fully catered camping with a large marquee for eating, drinking and watching the race on TV. Host of the Beermountain Annual Member's Meeting. Proven arrangements and logistics, fixed size so no surprises. Highly efficient (but relaxed style) from British team. Close by the Maison Blanche entrance to the circuit. The area is open and a little exposed to wind and rain storms. It is situated inside a normal campsite and those outside the fence cannot be controlled. Situated in the centre of the ACO's Blue Nord campsite. Brian's 1st tickets was again 5 stars - clean, dry from mud, very well run with a sense of humour and secure. No real issues with other Blue Nord over the fence apart from one lot who had 4 generators purring away. But you would get that anywnere. BM banners made excellent windbreaks. 1st Tickets Blue Nord has been the home of Team Rhino for the last 3 years. Excellent facilities, toilets, showers and a beer marquee. Security is excellent and the 1st Tickets staff are very helpful and friendly. The Boss runs a tight ship (which is good !!). Food is also excellent and takes away the issues of what are we going to eat later on in the week leading up to the race. 5 bottles all round from me. Brian is the true messiah of LM camping. His set up is clean, highly secure and yobbo free (we have seen him throw people out). Pitches are big and he puts BM people together. 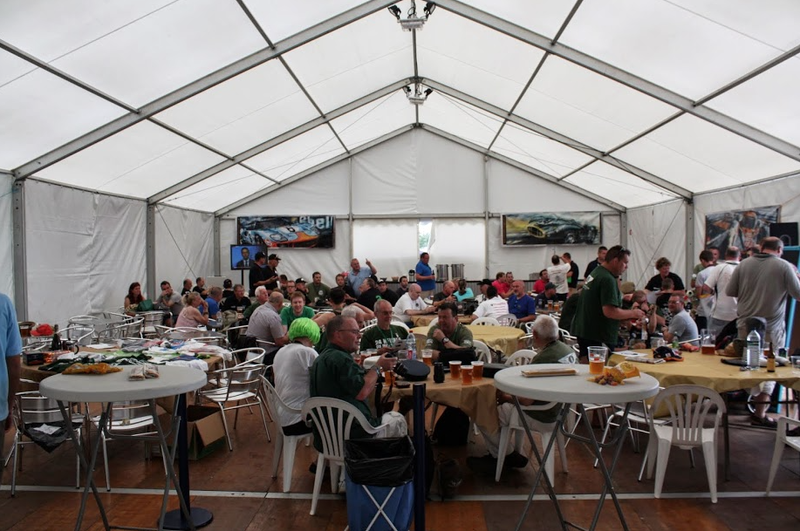 His marquee has a variety of beer, including British ales, and he also offers a catered for package full board. It’s a haven when its raining with timing screens and TVs! His team are friendly but not too serious. Five stars for self catering. Situated at our regular spot on the Bleu Nord campsite (only a short walk to the circuit and less than 15 minutes from the grandstands and pits) the 1st Tickets private site will be 12,000m2 with approximately 150 spaces. Based on the success of the changes we made to the site to improve your stay, our campsite now has the following: Larger pitches - a Standard pitch will now be 40m2 (4m x 10m) and a large pitch will be 60m2 (6m x 10m). Wi-Fi access for all. Revised food menu, with "British" baked beans! More Showers (16 unisex + 2 Female), to help with the morning ablution rush.